In order to ensure data safety even if your WSP Web Hosting cPanel credentials are stolen, you can implement a two-factor verification for your c-panel! The two-factor verification adds an additional verification layer to your data access, providing you better security for your information. For enabling the two-factor verification for your cPanel, you will be required to download the Google Authenticator app on your mobile. This Google software token uses the Time-based One-time Password Algorithm and HMAC-based One-time Password Algorithm, for implementing the two-factor verification services. 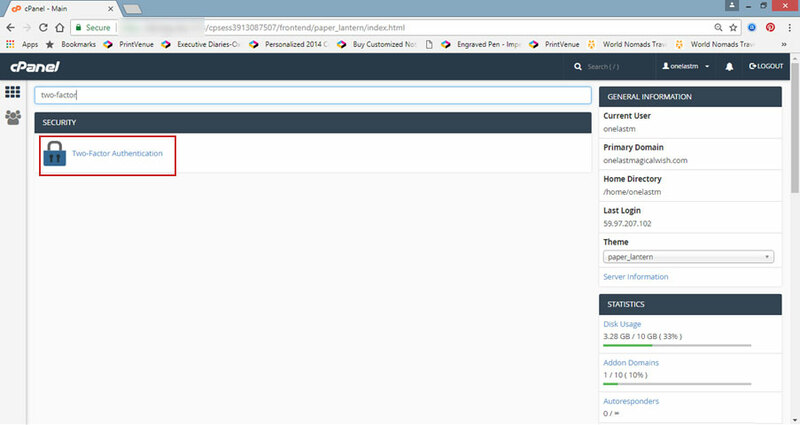 After logging in your cPanel with your username and password , search for ‘two-factor verification’ in the search bar (Please check Tutorial 1 or Tutorial 2 if you don’t know your cPanel credentials) . Click on the ‘Two-Factor Verification’ under the Security column. Click on the ‘Set-Up two factor verification’ link. Scan the QR code with your Google Authenticator app. On scanning the QR code, the Google Authenticator app will provide you a security code. 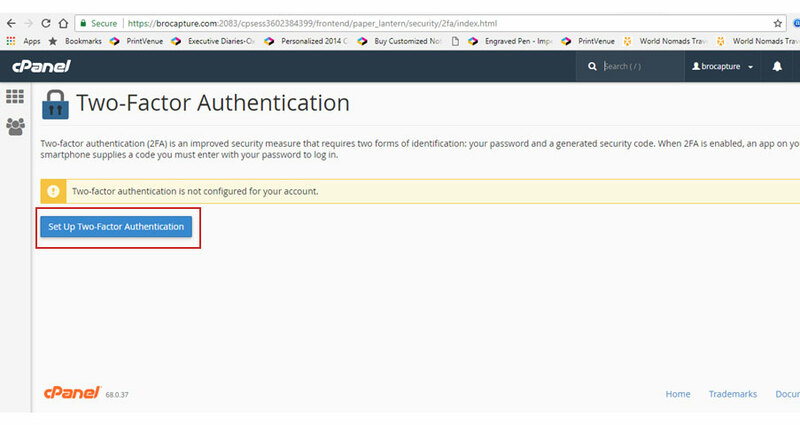 Enter the security code in the step 2 column and click on ‘Configure two factor verification’. It will redirect you to a page confirming the configuration of Two-Factor authentication on your account. 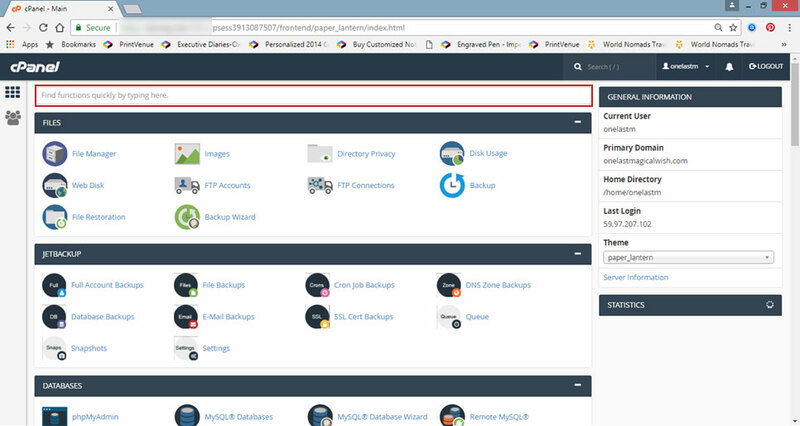 To check out your two factor verification, logout of your cPanel account and login again. After logging into your account with your registered username and password, you will be directed to a page asking for your security code. You can check for your security code on your Google Authenticator app and use it to login to your cPanel account. 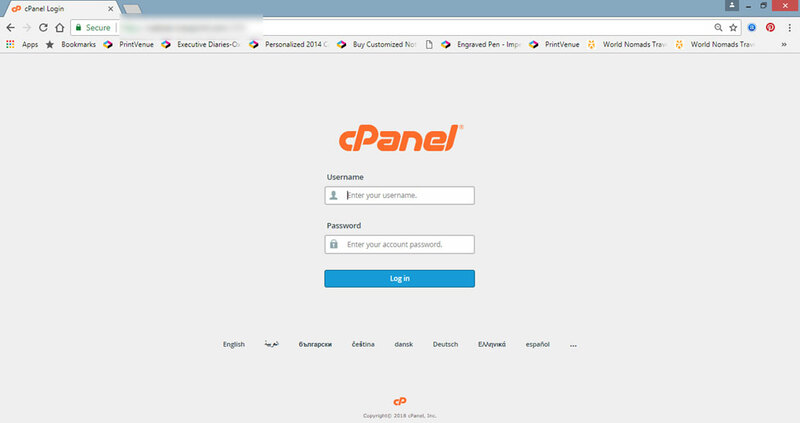 Follow these steps to ensure two factor verification of your cPanel account. You can comment below or mail us at support@webservicespoint.com in case you face any difficulties in proceeding with the steps or if you have any other related queries.